Xiaomi can launch Mi7 smartphones on May 31. Sometime ago Xiaomi launched the teaser of its product event in Shenzhen. It is believed that in this event, the company can launch its flagship smartphone Mi7. Now a screenshot has been leaked, according to which, this event of Xiaomi may be held on May 31. However, the company has not yet provided any official information about this. According to leaked screenshots, the price of tickets for this event has been kept from Rs 8,500 to Rs 21, 300. About 5 thousand people are expected to participate in this event. Earlier, about 2 thousand people took join in the launch of the Mi MIX 2S company in March. According to the screenshot, the annual event will be the largest event of the company. It is being speculated that in the event on May 31, the company can launch the MI 7th flagship smartphone along with the Mi 8th Anniversary Edition smartphone. The name of this product was seen on the Chinese version of Mi Store app with another device. It is believed that this smartphone will be a rebranded version of Mi7 Plus. With these two smartphones, the company can also launch Mi Band 3, which was seen on the company's CEO Lei Jun's wrist. In addition to the screenshot, Mi8's front panel and some other pictures of the package box are also leaked. It is said that Leo Jun, CEO of Xiaomi, had betrayed 1 billion Yuan with his opponent Dong Mingzhu in 2013. According to this condition, Xiaomi will release the Grey Electronic Appliance market in five years. After receiving official information about this from Jun and Mingzhu, the senior Vice President of Xiaomi, Lee Wenqiang posted that the company would give 100 Mi8 smartphones. Specifications of Xiaomi Mi7: In the Mi7, the 3D facial recognition system can be installed to give a face to Apple's face ID. This was seen in the pictures leaked a few days ago. This smartphone can have Qualcomm Snapdragon 845 SoC, 8 GB RAM and 256 GB of storage. In this event, the company Mi 7, Mi 8th anniversary and Mi Band 3 can also launch Mi Max 3 with fitness tracker. Mi Max 2 was launched in May last year. The new smartphone will have a thin bezel design like the Redmi Note 5 and the Redmi Note 5 Pro. However, till now all this information is according to leaked screenshots, the company has not given any official confirmation about this. OnePlus 6 can compete with Mi 7: OnePlus will have 8 GB RAM and 256 GB of internal storage. 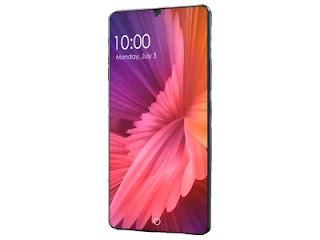 The device will run on Qualcomm Snapdragon 845 processor. If the claims of reports are correct, then the phone will work on the Android Oreo 8.1 operating system. Expectations are also being expressed that the company can later update Android P too. The phone will have dual camera setup. The phone has 16 megapixels and 20 megapixel two sensors. The phone has 3,450 mAh batteries.